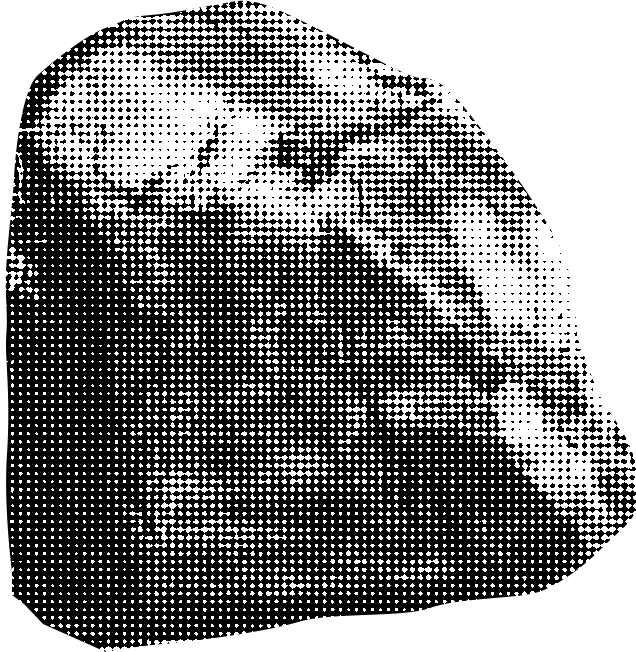 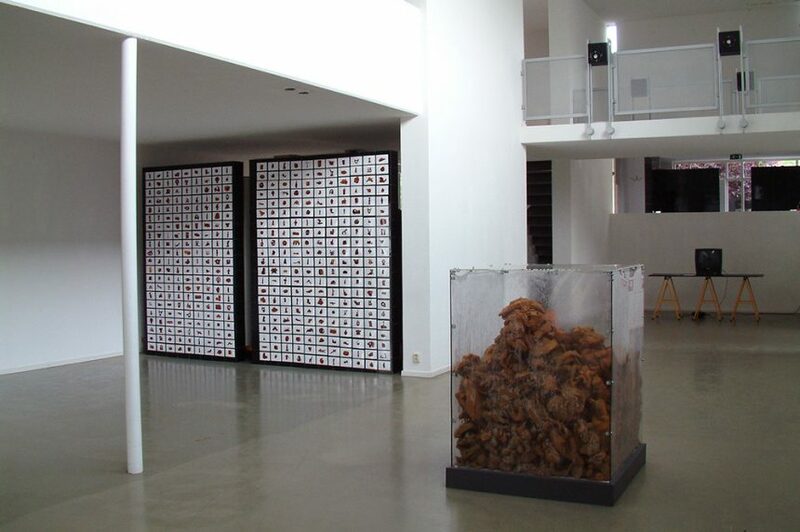 This work was made for the Kunstvereniging Diepenheim in Diepenheim, Holland and shown in the same month as Sculptomatic 1. 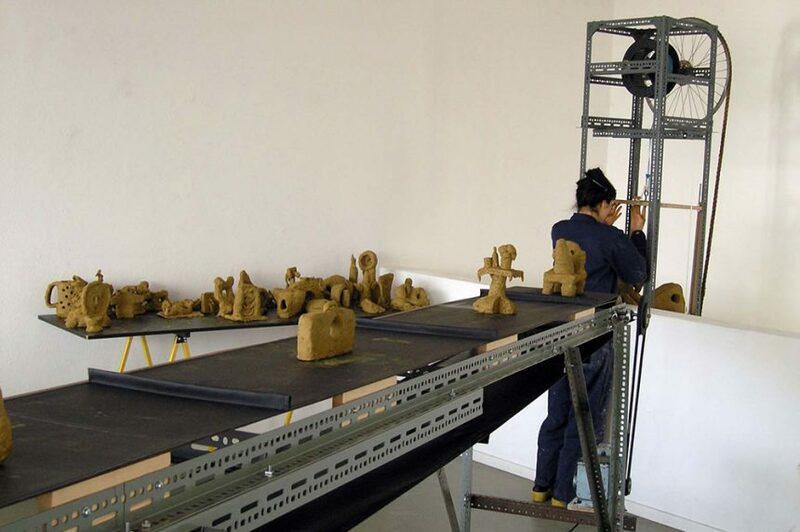 It employed locally sourced clay and responded to the particular architecture of this unusual purpose built Sculpture Gallery. 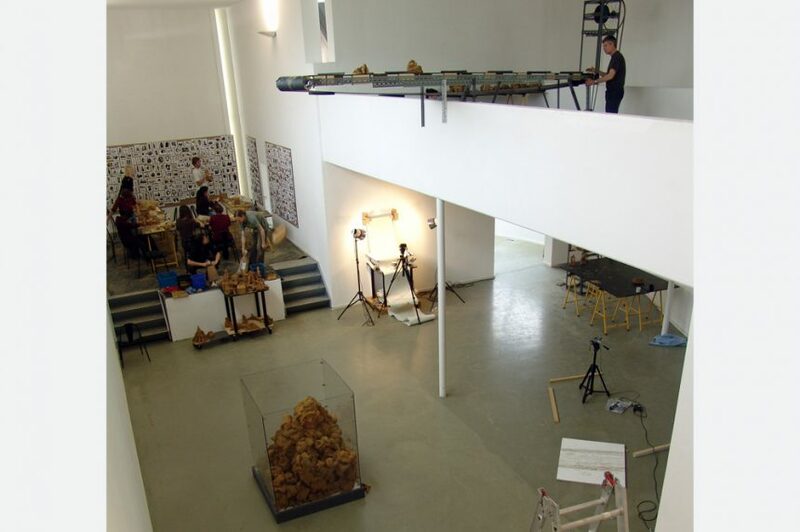 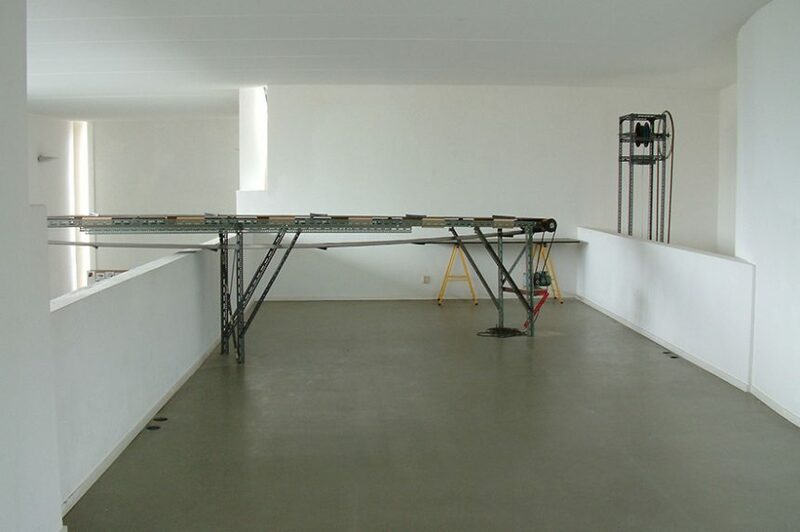 The work involved a dexion constructed ‘dumb waiter ‘lift used to transport the clay forms based on 500 images of sculptures with holes in, made by Dutch and UK participants, to an upper level of the gallery. 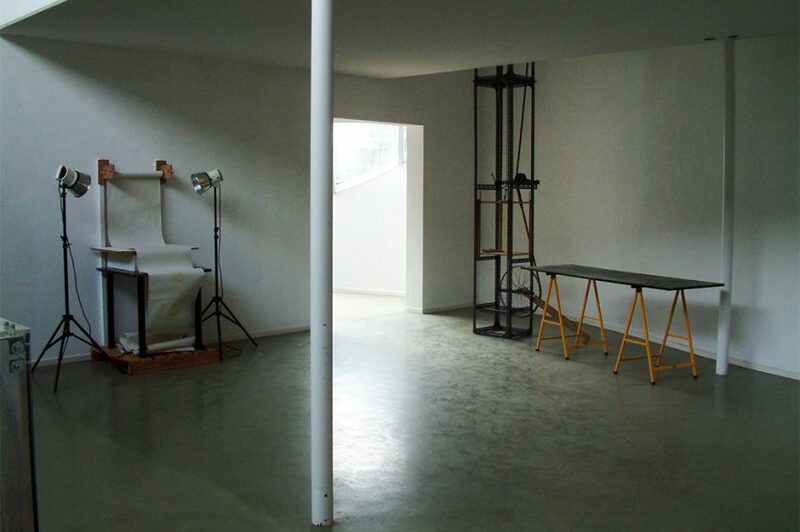 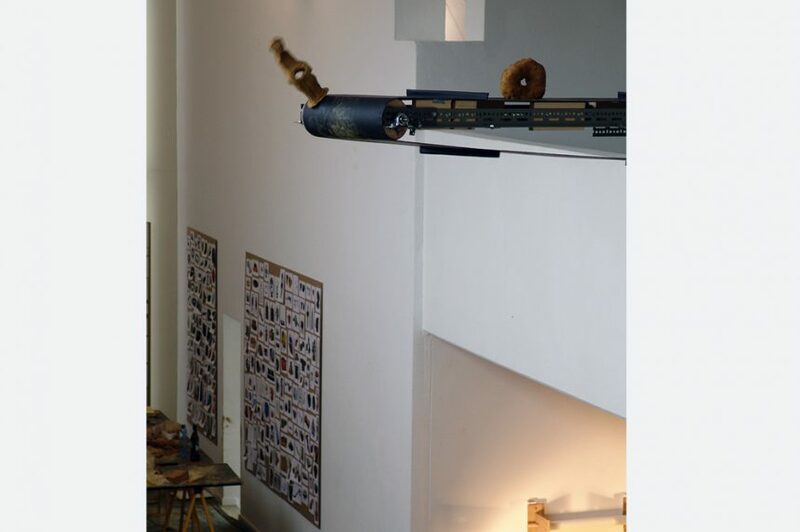 There a motorised conveyor belt strected across the space overhanging the main space somewhat like a diving board so that the clay forms once placed on it were transported to a point 5 metres above the ground floor gallery space where they dropped in to a large vitrine. 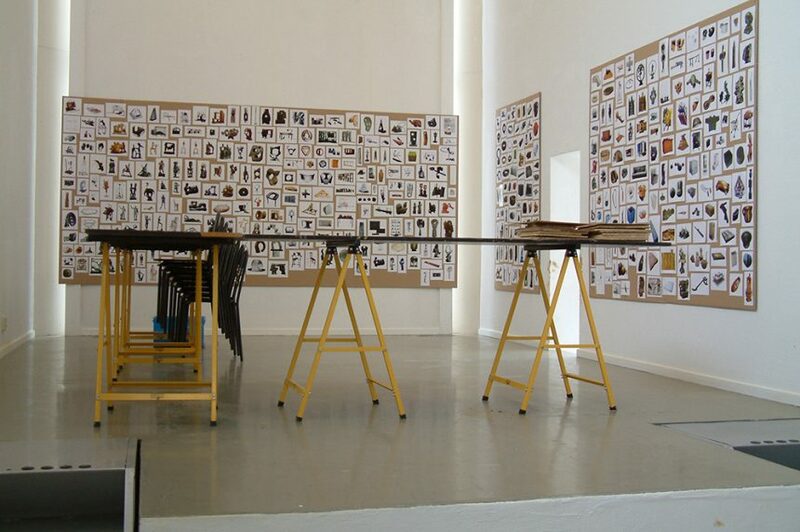 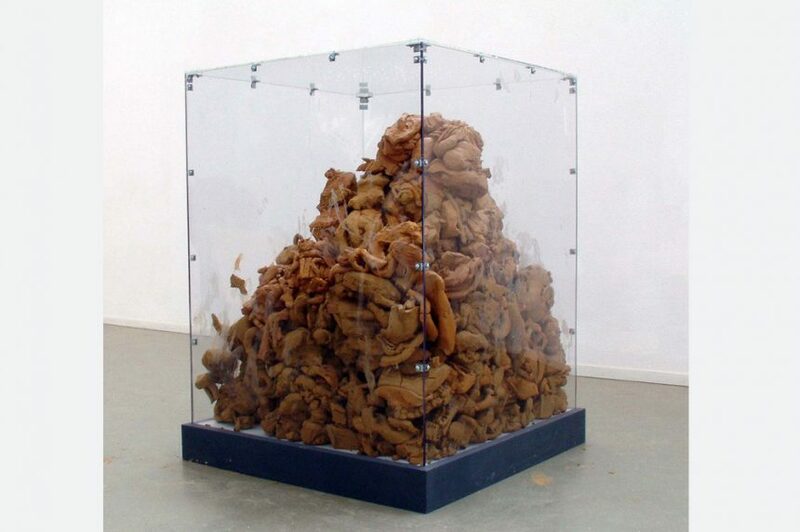 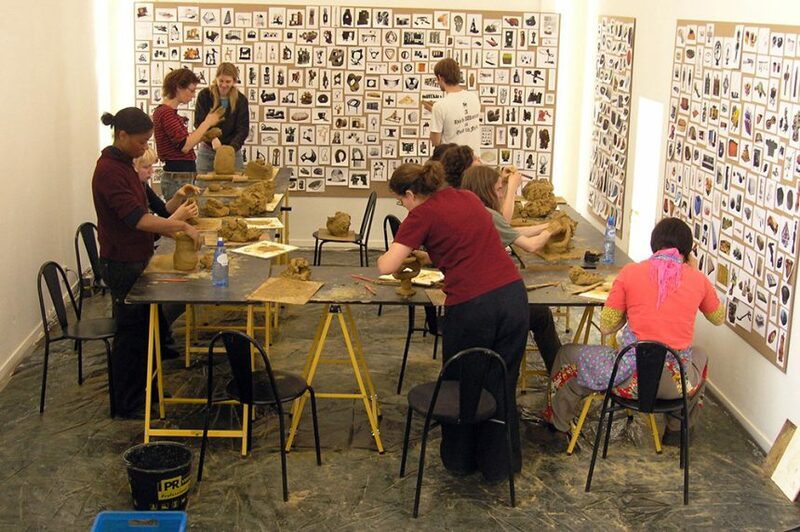 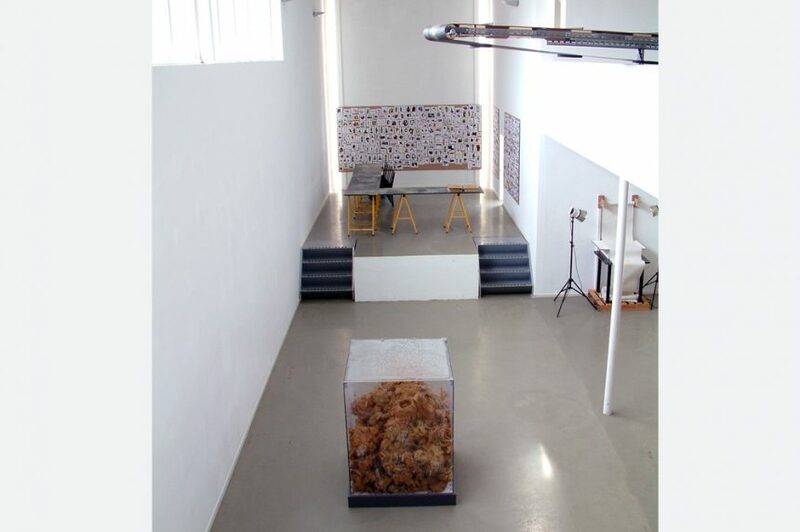 The exhibition, like Sculptomatic 1, comprised of all of the working mechanisms and materials used to make the clay Sculpture and included a 2 hour video of the vitrine as the sculpture slowly formed along with a presentation of the photographs of each of the clay forms before their journey.